The start of a new year is a special time - a time of new beginnings, new seasons, and a time of fresh perspective. By starting the New Year in worship and prayer our hearts can be focused on God and we can receive His perspective for the coming year. Our New Year's Eve worship service begins at 11 PM and continues until a little past midnight. This worship service has quickly become one of most well-attended outreach worship events filled with high energy praise and passionate worship. 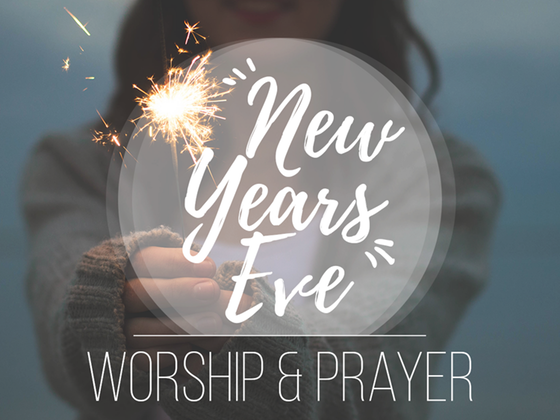 The New Year's Eve Worship service is an annual event with one exception; we do not host this service when New Year's Eve is on a Saturday night. We hope that you will join us yearly as we welcome the New Year in the best way possible!